Yesterday Albion met QPR at the Hawthorns. Both clubs harbour similar ambitions for the season and would be pleased with a comfortable mid-table finish although the two clubs approach to the challenge could not be further apart. QPR have been bankrolled by a series of wealthy owners and are now owned by Tony Fernandes and the Mittal family. Since promotion QPR have bought in high profile players on high wages and an equally high profile manager in Mark Hughes. By contrast Albion have built gradually and in the absence of a sugar daddy have managed within their relatively modest means. The contrast in approach is embodied by Gareth McAuley and Anton Ferdinand both signed in summer 2011 to strenghten their respective sides back lines. 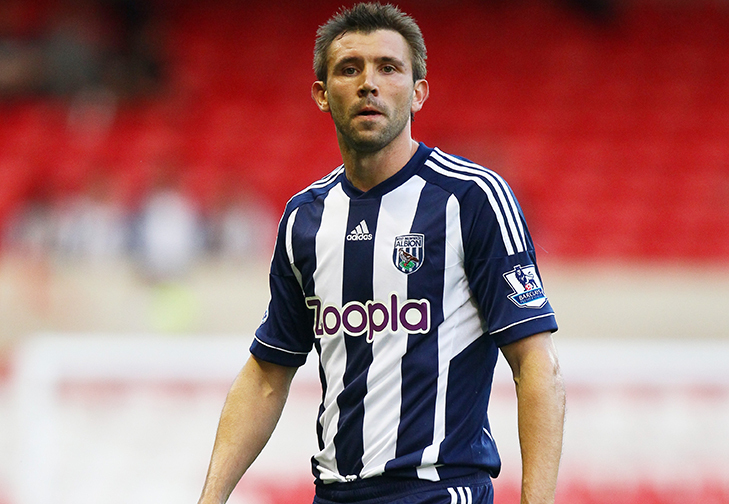 McAuley was picked up by Albion on a free transfer having not played in the premier league. Ferdinand joined QPR from Sunderland for £1m ending a largely forgettable stay on Wearside where he failed to live up to an £8m price tag after moving from West Ham. McAuley's league career started late and was plying his trade at Leicester in the Championship when Ferdinand was making his big money move to Sunderland. 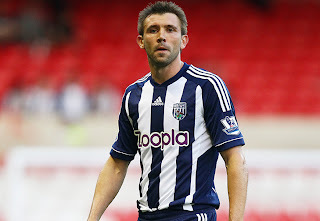 McAuley's arrival at the Hawthorns was largely unheralded and there were envious glances at other centre halves that moved that summer including Dann, Johnson and Ferdinand himself, however in the last twelve months McAuley has established himself as a no nonsense does what it says on the tin centre back. Ferdinand on the other hand has continued his patchy form which saw him depart from Sunderland and yesterday he looked like a very average player. QPR's wage bill is certainly higher than the Baggies and whether the disjointed performance that they put in at the Hawthorns is a consequence of the changes they made over the summer or a more fundamental malaise only time will tell, but the whole enterprise looks like it's been built on sand. They have bought players who in many cases not lived up to early promise Zamorra, Wright-Phillips and Ferdinand or players who have been at the very top of the profession but are now on their way down like Bosingwa and Ji-Sung who might not be as motivated by a relegation scrap as being in contention for trophies and titles. Albion simply could not afford those players wages and by necessity focus on the unsung gems unearthed by an extensive scouting network. The players either regard playing for the club as a stepping stone to greater things or the peak of their achievement in the game. At the moment the Albion way is working and we have opened up a 12 point gap between the more celebrated players from west London it might be a false position and QPR may yet come good but yesterday there were times when the two teams looked worlds apart but not in a way Tony Fernandes would have hoped for when he appointed Mark Hughes and sanctioned the overhaul of the playing staff. Hughes will not be sacked in the morning despite the gleeful taunts of the Baggies fans but Fernandes is entitled to ask what he is getting for the money that he has pumped into the club. Or is he? Importing Hughes as a quick fix and throwing money at players does not build a team nor a club maybe the mess he has got is exactly what he paid for, all the money in the world does not give you the wisdom to spend it wisely. Albion have achieved what they have by investing long term in the infrastucrure of the club by not indulging managers nor fans with short term fixes doing the best the club can with the resources available. It has not always been popular but there is continuity and a plan which is now paying divdends. Fernandes must stick by Hughes and focus on building long term and hope that they muddle through, but having bet the house on staying in the division one does wonder what relegation would mean for the club and unless they tighten up as a team that is a real danger.